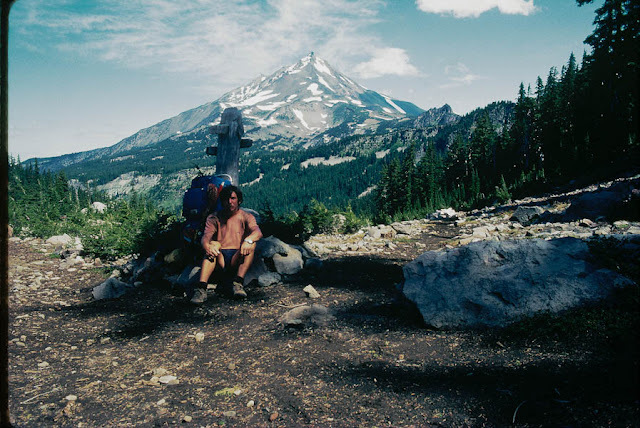 My next book will be an account of my 1982 hike from Mexico to Canada on the Pacific Crest Trail. It'll be called Rattlesnakes and Bald Eagles and will be published next year by Sandstone Press, which has already listed it on its website, though I haven't yet started writing it. I have however sorted through my old Kodachrome 64 slides, many of which will appear in the book, and looked through my journals, which will form the basis of the book. As the PCT has changed in some respects, particularly in popularity, since my walk I'll be including updates plus a history of the trail. The PCT was the most personally significant of all the long distance walks I've done, the one that set me on the path of explorin wild places. I'm really looking forward to writing this book. I won't be starting until the summer though. I have the Scottish Watershed to walk first. Now that will be some book and one I am looking forward to! It will be so interesting to read your own account from 30 years ago and also see how the PCT has changed over the years. Very much looking forward to this one. These are proving to be very exciting times Chris, you seem even more prolific than ever! Soon be driving that Ferrari! Happy writing, Chris! Looking forward to reading it next year, I'm sure it will be superb.